502801 was successfully added to your cart! 502801 could not be added as a favorite. Please make sure you are logged in. 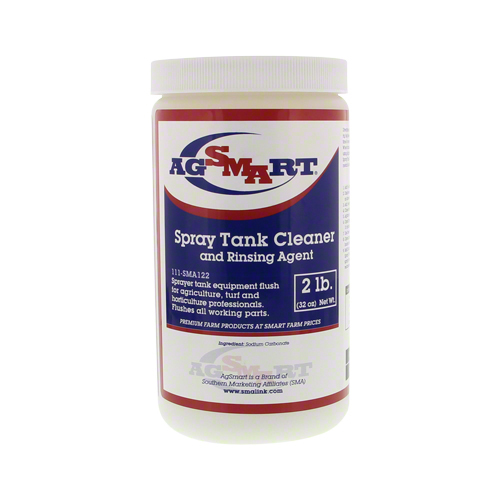 Spray tank cleaner and rinsing agent. 2 lb. (32 oz.) bottle cleans tanks up to 200 gallons. Active ingredient, sodium carbonate. Use before spraying to remove scale, rust and dirt. Protects pump and valves plus reduces strainer clogging and helps minimize nozzle wear.